Description The well-illustrated and informative official programme for this friendly encounter between Belgium and Austria Wien. 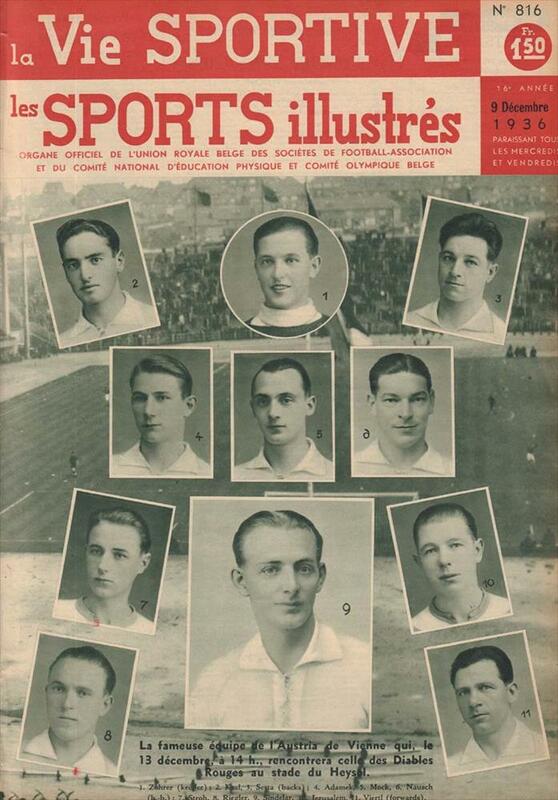 In the years 1936 and 1937 the official Belgian FA magazine "La Vie Sportive" doubled also as the official programme for international games played in Belgium. 42 x 30 cms, program, 16 pages.